◎ We wrote in September 2017 that Fang Fenghui might be involved in a failed coup against the Xi Jinping leadership. Read our September 2017 analysis of Fang Fenghui’s involvement in a possible failed coup. On Jan. 9, Xinhua News Agency issued a terse statement about the prosecution of Fang Fenghui, a former member of the Central Military Commission (CMC) and the Chief of Joint Staff. While state media only mentioned that Fang is suspected of bribery, Hong Kong newspaper South China Morning Post cited sources who described him as having close ties with purged CMC vice chairs Guo Boxiong and Xu Caihou, two Jiang Zemin faction elites in the military. The backdrop: In 2017, Fang was involved in several high-profile diplomatic meetings before he was abruptly removed from office and vanished from the public view from Aug. 26. Notably, Fang was part of Xi Jinping’s entourage for his Florida summit with President Donald Trump in April, and had signed a new Sino-US military agreement with Chairman of the Joint Chiefs of Staff Joseph Dunford in August before his disappearance. Former Political Work Department director Zhang Yang, Fang’s CMC colleague, also lost his job and vanished at around the same time as Fang. In November, state media announced that Zhang had committed suicide when being placed under house arrest. The official military newspaper criticized Zhang for killing himself to avoid punishment, and noted his association with Guo Boxiong and Xu Caihou. 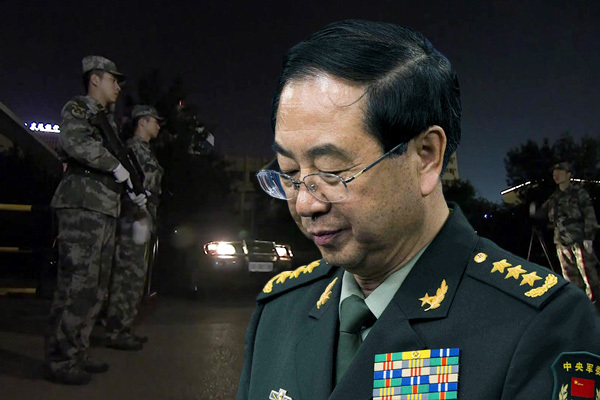 The top military brass and regional military commands stayed silent on Zhang Yang’s suicide, an odd phenomenon given the harsh official stance on Party leadership “usurpers” Guo and Xu. 1) We wrote in September 2017 that Fang Fenghui might be involved in a failed coup against the Xi Jinping leadership. The official announcement of his prosecution and overseas reporting about his links with coup plotters Guo Boxiong and Xu Caihou verify our analysis. 2) Fang’s downfall also corroborates our assessment in November that Xi downsized the CMC in part because he was unsure of the loyalties of his senior generals following the removal of Fang and Zhang in August. 3) Xi is the CMC chairman and commander-in-chief of the military, but titles alone do not immediately grant Xi absolute authority and control over the People’s Liberation Army. Expect Xi to continue reshuffling military commanders during his second term as he seeks to test their loyalty and prevent them from forming an opposition coalition to challenge his leadership. Further arrests of top military generals cannot be ruled out.